As I enter in to our time of communion in prayer this morning, my heart is still heavy with the massacre of so many in the Las Vegas shooting so fresh in all our thoughts and prayers. The music turned to mayhem with nowhere to hide from a hailstorm of bullets out of a hell-storm of hatred and cowardice and evil. They'll try to find out what darkness filled his mind, but we know all too well and see all too often the darkness that seeks to invade any of our hearts to turn us against God and one another and ourselves. 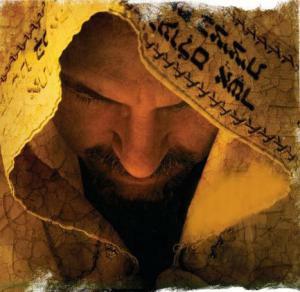 "The thief comes only to steal and kill and destroy" (John 10:10 NRSV). Ultimately, evil is not a person, but a spiritual force of darkness looking for every opportunity to divide and conquer and destroy. "For we do not wrestle against flesh and blood, but against principalities, against powers, against the rulers of the darkness of this age, against the spiritual hosts of wickedness in the heavenly places" (Ephesians 6:12 NKJV). So it's only in You and the mercy of Your grace and the power of Your name that we can find the security and peace we need in these dark days to "stand against the wiles of the devil" through every onslaught of his hatred, cowardice, and evil (Ephesians 6:11). You never intend or will the evil in our world. But at the same time, You are never unaware of our suffering and our needs, our fears and our fights. And You never leave us nor forsake us through whatever we endure in our lives or in our land through the darkness of these days. Evil will never have the last word or the find say. And You never back down from the promise and the hope of Your Word to those who choose to find Shelter in You: "Those who love Me, I will deliver; I will protect those who know My name. When they call to Me, I will answer them; I will be with them in trouble, I will rescue them and honor them. With long life I will satisfy them, and show them My salvation" (Psalm 91:14-16 NRSV). May you be safe and secure in the shelter of the Most High, knowing God is with you through whatever you endure, making sure His Word will have the final say over your life, in Jesus' name! Please pray the same of me. I join with you in prayer for all who are suffering or shaken by what has happened in Las Vegas and happening in our land. Together we call upon the name of the Lord who hears us when we call to answer us and lead us to His salvation. God bless you, my friend! 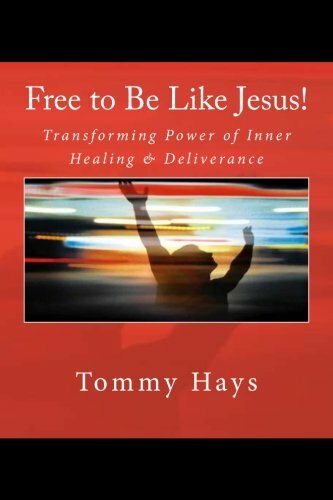 Free to Be Like Jesus! (Updated and Revised 3rd Edition) endorsed by Max Lucado, Andy Reese and Randy Clark.